Cecil The Lion's death has stimulated a lot of talk and a lot of lessons too. Politicians have also had their say. 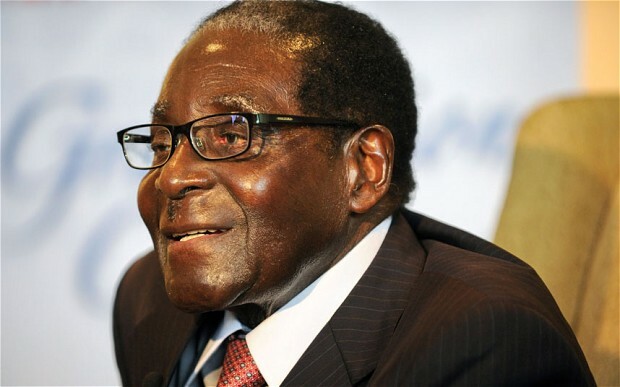 President Robert Gabriel Mugabe has uttered his disgust at the demise of the lion. The South African President Jacob Zuma has said he did not think a Lion would generate that amount of interest. Just by merely looking at Cecil as a simple lion, one may fail to realize why this interest was generated. We see and view issues differently. At least I ask you to apply your mind when you look at everything that comes to you. Research and probe issues further as we continue our lessons in the Lion In You Series. President Robert Gabriel Mugabe has uttered his disgust at the demise of the lion. Cecil Had A Name: The Lion was just amazing. He had a name and sources say that he was thirteen years old. He had an identity. When he got killed everyone new who had been killed. That is amazing for Cecil the Lion. Most people live a live without a proper identity. They live in the shadows of themselves. They dont realize the extraordinary life that is in them. They should have had done something significant with their lives. They should have become leaders. They should have done something significant with their names but they have done nothing. Do you have a name for yourself and what are you known for. What are individual talents that define you? Figure out what you are on earth for and attach a name to yourself. Cecil was fitted with a tracking Collar: Cecil was caught and fitted with a tracking collar when he was 6 years old. Cecil was enrolled in a major lion study conducted by biologists. Andrew Loveridge and David Macdonald of Oxford University. Cecil’s movements were tracked Over the next seven years, Cecil’s movements were tracked by satellite. By knowing where Cecil and other lions went, the scientists learned the behaviour of Lions. Being the Leader a mark was placed on Cecil because he defined the group.